You are here: Home / Blog / Plumbing SEO / What Good is Your Website if No One Sees it? Your Website Is Only Valuable To You When People Can Find It! 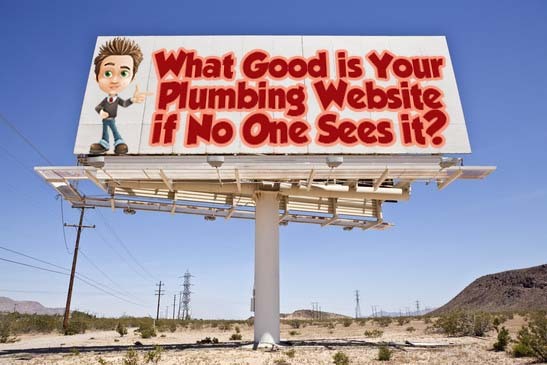 SEO for your Plumbing Business is Vital! Let’s say you are Acme Plumbing in Randomville, Ohio. Without proper plumbing business SEO, the only searches that will find you are the ones where the searcher types in “Acme Plumbing in Randomville” or something equally specific. However, with proper plumbing business SEO, you can get top page rank when someone searches for “plumbing in Randomville,” “Randomville sink repair” or even “who’s the best plumber in Randomville?” These are the types of searches that people are doing and this can be your bread and butter when you get your plumbing business SEO right. Another advantage to having proper plumbing business SEO is that your site will end up getting clicks even when the potential customer was looking for another company! How does this work? If you, Acme Plumbing, have better plumbing business SEO than your biggest competitor – Bill’s Plumbing, then you’ll still be able to compete with Bill’s SEO well enough that even searches like “Bill’s Plumbing Randomville” will put your website on the front page of search results. Just to compare, Bill’s customers might click on your site and see what you have to offer. And a good portion of them might call you instead. Every time a potential client sees your brand, a little part of their brain remembers it. This is why three year olds can tell you that the big “golden arches” means “Chicken Nuggets.” When we see a brand or a logo enough times, it just becomes something that we remember, and we know what it means. This is how you plant the seeds of brand loyalty in your customers, and as we all know, brand loyalty in plumbing customers is extremely important and lucrative.